Are you ready for a vehicle upgrade that’ll tackle the Plainfield commute with ease? Look no further than Gerald Kia of Naperville for a formidable Kia vehicle lineup that you’ll want to test drive for yourself. From the sporty 2019 Kia Stinger GT to the wildly popular Kia Soul and the intriguing Kia Optima trim levels, we’re one of the Kia dealers that are prepared to support drivers with all sorts of tastes and budgets. Once you’ve reviewed our inventory online, come down to Gerald Kia of Naperville to visit the kia dealership nearby Downers Grove to pick up your very own Kia! 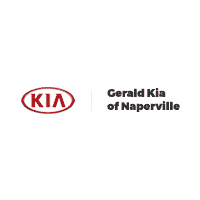 When you’re set to start your new vehicle buying journey, visit Gerald Kia of Naperville for a better look at our large selection of Kia cars and SUVs. Value your trade before you come in and learn about Kia vehicle warranties to get one step closer to your new Kia.